Summer’s here, and our minds have shifted to all the fun activities and Frederick summer experiences that we’ve been looking forward to since the first hint of spring. We’ve pulled together 11 of our favorites, but rest assured – Frederick County has SO many more. That’s why we love living and working here! Rita’s: I’m pretty committed to sweet, cool goodness making an appearance as often as possible during my summer and the best place to snag that in Frederick is Rita’s. They may be the only fruit I get in my system between June and August other than watermelon and I’m totally okay with that. 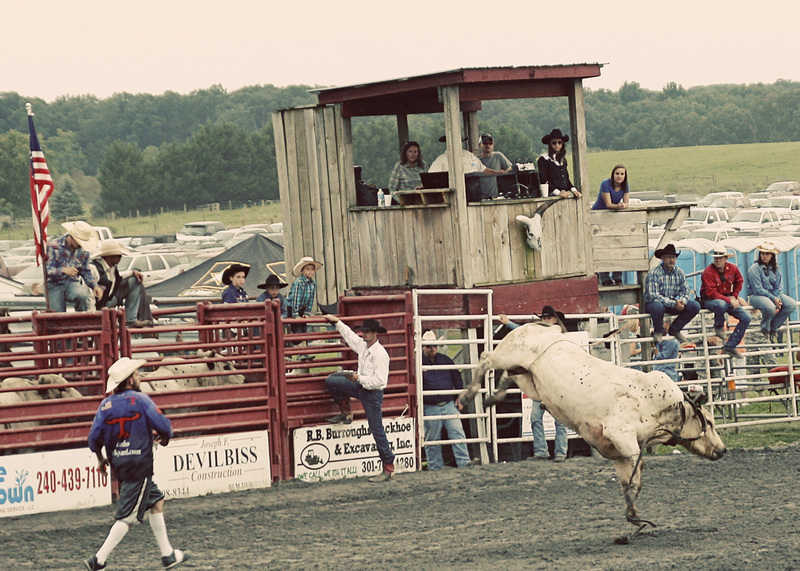 The Rodeo: I can’t name many things more American than the rodeo, and we are lucky to have one every summer right here in Frederick at J Bar W Ranch! There are plenty of cowboys and cowgirls and horses and farm scents to go around. And you can wear your tight jeans and cute boots for the full experience. South Mountain Creamery: Hungry cow babies for the win! I started going to South Mountain Creamery for my kids to get a taste of the hands on farm experience, but now I drag them there for my own benefit. It’s a pretty cool way to spend an afternoon and they have an ice cream shop that makes smelling cow scents and being slimed by calf drool all the way worth it. The Frederick Keys: I am not a fan of baseball. Unless I am in a baseball stadium with nachos and stadium dogs and thick-with-ice-cubes Diet Coke at my fingertips. 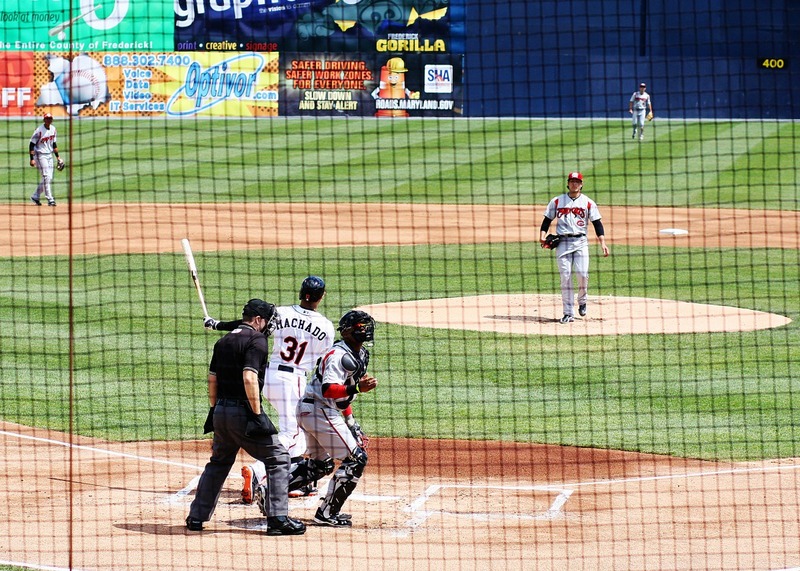 The Frederick Keys offer all of that at a price that means the whole family can tag along. Also, fireworks! I love me some summertime fireworks and the Frederick Keys like to bring it. Summer Concert Series: Is there anything better than relaxing on a lazy summer evening listening to music while picniking with the ones you love? Nope! The Summer Concert Series at the Baker Park Bandshell is the perfect way to spend your Sunday evenings in June, July and August. The Summer Concert Series never disappoints when it comes to an eclectic mix of music. (From afrofunk and bluegrass to the blues, they have a little something for every musical taste!) Bonus: canned food and cash donations are collected each week to benefit the Frederick Food Bank. Alive @ Five: Alive @ Five has got to be one of the coolest events in the City of Frederick. Figuratively, not literally. Because literally it is hot. So prepare to be a wilted, sweaty mess while you enjoy the libations and the amazing music. The 2015 happy hour series is held every Thursday, from May to September 10th. Live music on Carroll Creek in Downtown Frederick? Sign me up! Wine Festivals: Wine festivals are my happy place. My first job, as a matter of fact, was spreading cheese on crackers at Linganore Winery during one of their festivals (way back in the day). Flash forward to now where I am doing way more important things than cheese and crackers… sampling wine, my friends! Linganore Winery has a fun array of festivals to choose from this summer including Reggae (my personal favorite). Farmers’ Markets: Starting in May, and running through mid-Fall, the farmers’ markets in Frederick County come alive! Short of joining a CSA, visiting a farmers’ market every week is the best way to get your hands on local, fresh, in-season produce and other goodies. Juicy peaches and sweet blueberries! Yarn that’s been spun from local sheep and dyed in a rainbow of colors (note: my daughter crochets – not me)! Bakery treats and plants for your garden! Wandering the farmers’ markets in Frederick over summer is a definite must. Dining Al Fresco Downtown: One of the best parts of living in Frederick County is the amazing variety of restaurants, especially downtown. And in the summer, eating outside in downtown Frederick is perfection. Whether I’m grabbing lunch on Carroll Creek with my sister at The Wine Kitchen, meeting outside at La Paz for salsa and margaritas with my book club, or enjoying tapas at Isabella’s while people-watching, I just can’t get enough of the downtown charm! Or the good eats…and wine. Carnivals: There’s no denying the Great Frederick Fair is a mandatory “at least once” experience for locals and visitors. But there are other fairs and carnivals that pop up around the county each summer, too! One of our favorites is the Walkersville Carnival, which has a lot of rides, fair food (because pit beef, crab cake sandwiches, and funnel cake – yes! ), and less people. (The Walkersville fireworks display is super fun too, and without the crazy crowds that congregate downtown.) You can find a list of all the local fairs and carnivals here! 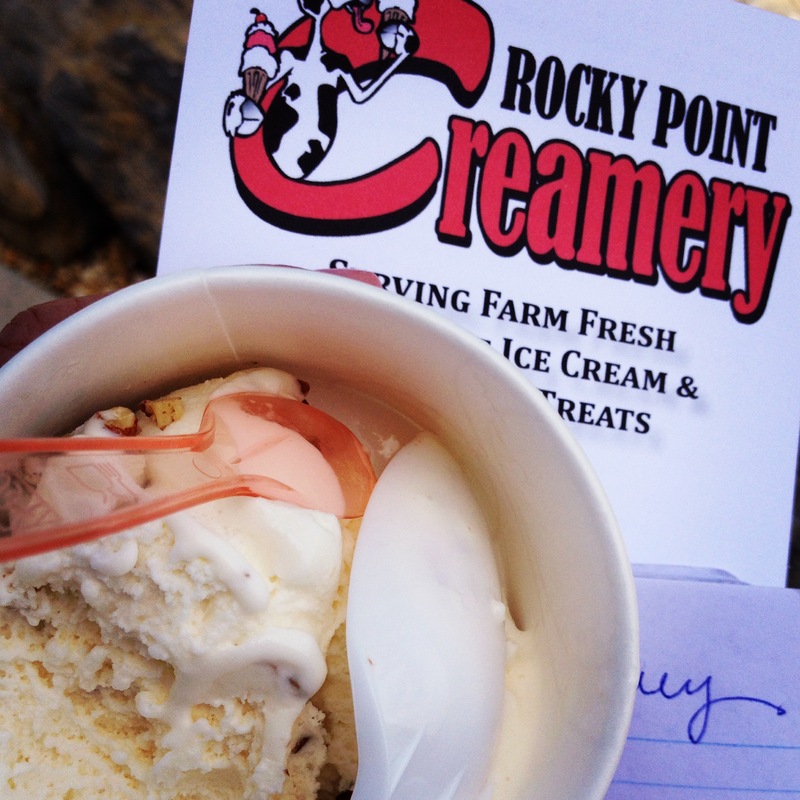 Rocky Point Creamery: Summer isn’t summer without devouring local, creamy, delicious ice cream. There’s just something about a local, fresh, homemade ice cream that the grocery store or chain shops can never match. Rocky Point Creamery opened their ice cream shop a couple years ago, and I’m here to tell you that the ice cream is to. die. for. Take a cup to go, or enjoy a hand-dipped cone at one of their picnic benches. The prettiest time of year is when the neighboring field of sunflowers is in bloom! Happy summer! What are your favorite Frederick summer experiences? Get Spoiled: With a $55 Downtown Frederick Gift Card! Get Spoiled: Whiskey Bottom Candle Company Giveaway!